Old and Rusty hand tools. 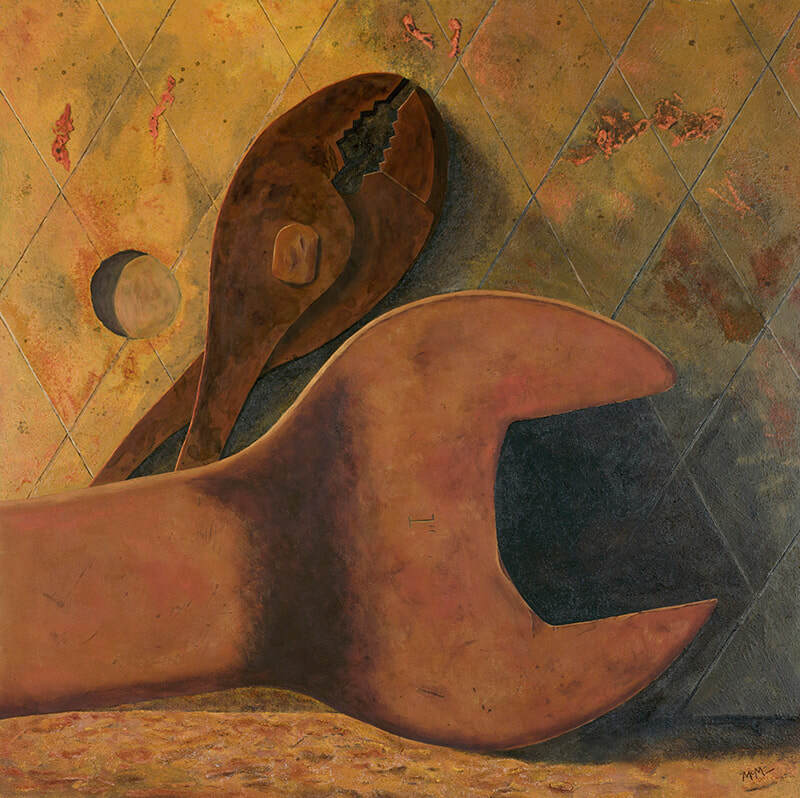 Part of my series " Relics if the Industrial Age" Acrylic on Board 30" X 30". Sold unframed. 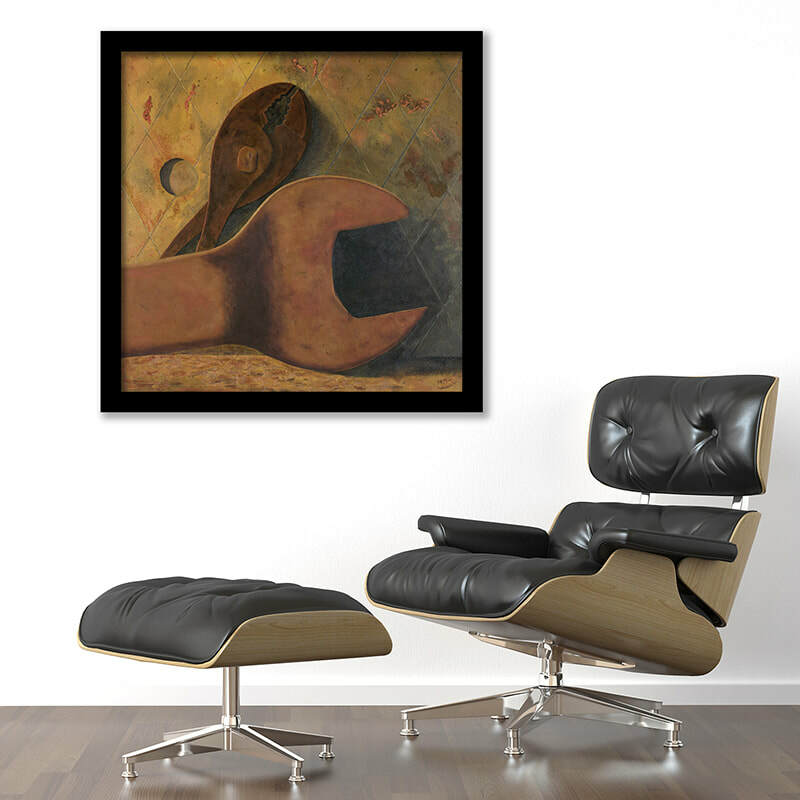 Framed in a distressed brown wooden frame hand made by the artist. 35"X35" is available at an additional cost.